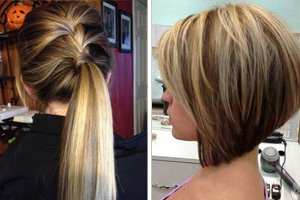 Short, straight hairstyles are extremely versatile. 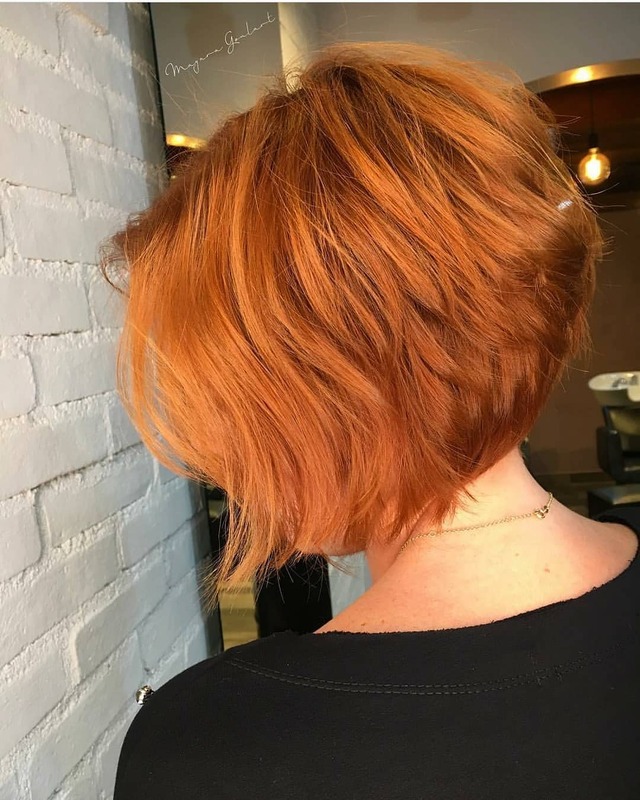 Depending on how you style it, a short, straight cut can be bold and adventurous, feminine and delicate, sleek and professional, or anything in between. Unfortunately, some straight styles end up looking uninspired or flat. 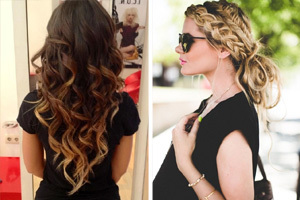 Many of them are also difficult to manage and require an hour of careful styling to get the look you want. 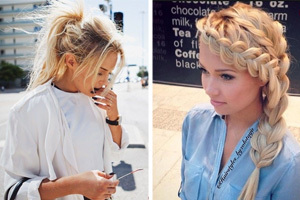 If you choose the right style, you can easily rock a pin-straight cut that isn’t boring or overly basic. Plus, there are many manageable straight cuts that you can style quickly no matter if your hair is naturally straight or needs a little help from a flat iron. If you’re looking for inspiration, check out these ten short straight hairstyles that are both ultra-trendy and easy to manage. 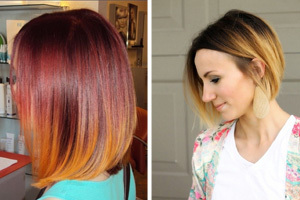 This ombré bob fades from an eye-catching dark brown at the roots to a calm honey blonde that lights up your facial features. Its subtle, slanted A-line cut falls between your chin and your shoulders, a length that naturally flatters almost any face shape. 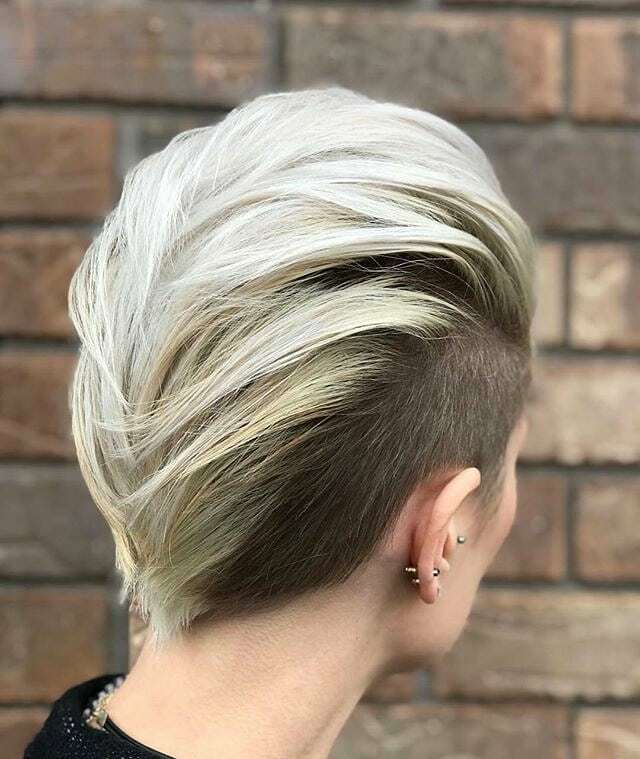 This bold bleached mohawk is the perfect straight, short style for daring women looking for a bod, on-trend cropped style. Its buzzed sides show off your jawline, and its longer mohawk-style center adds interest to this cut and gives it a trendy, adventurous finish. If you have a heart-shaped face, chances are good that you can pull off this cut. 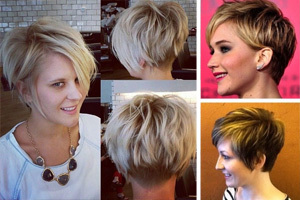 The buzzed sides and bold style of this pixie add balance and on-trend edginess to more delicate heart-shaped faces. This delicate sideswept pixie is a style straight out of a fairytale. Its longer sideswept layers in front add a touch of femininity to this cropped cut. 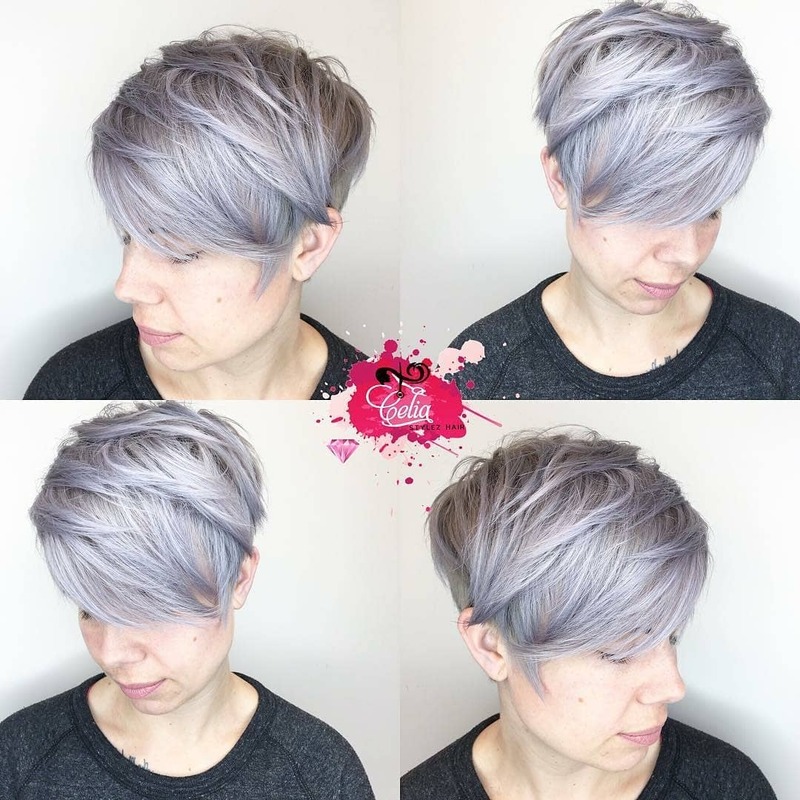 Lavender highlights set this pixie apart from other similar styles and give it an air of delicate, fairy-like magic. 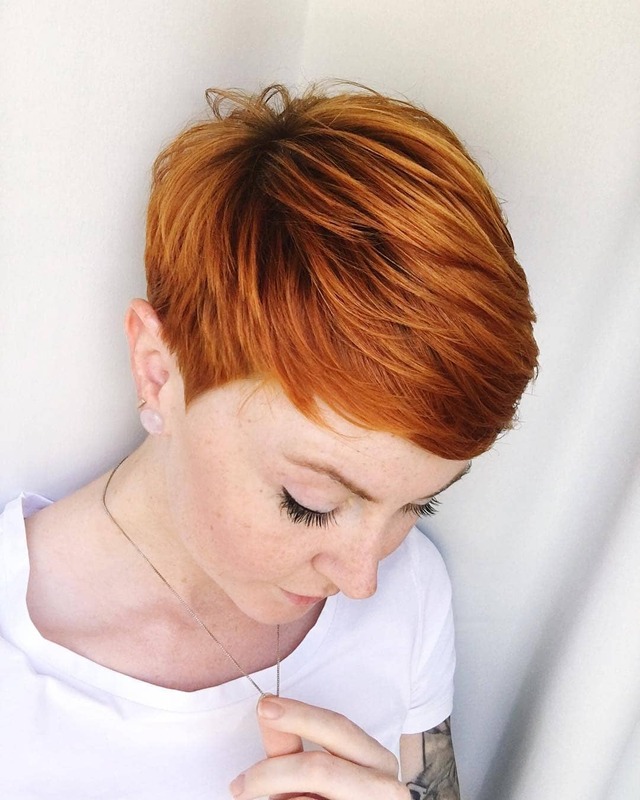 This simple, ultra-short pixie cut is stylish and extremely easy to manage. Details like cropped, wispy bangs give this cut shape and femininity in spite of its short length. Its fiery orange color ensures gives this simple style a bold, eye-catching finish that’s anything but boring. 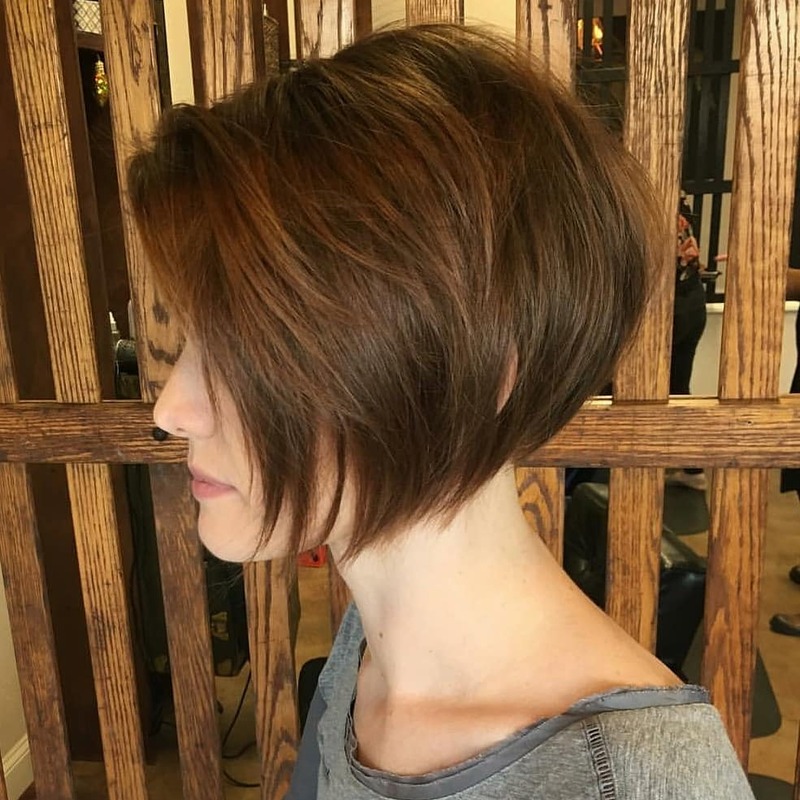 Because it’s short enough to leave your full jawline on display, this pixie is a style suited to show off the delicate bone structure of women with oval or heart-shaped faces. Rose gold is one of the trendiest hair colors of the season. 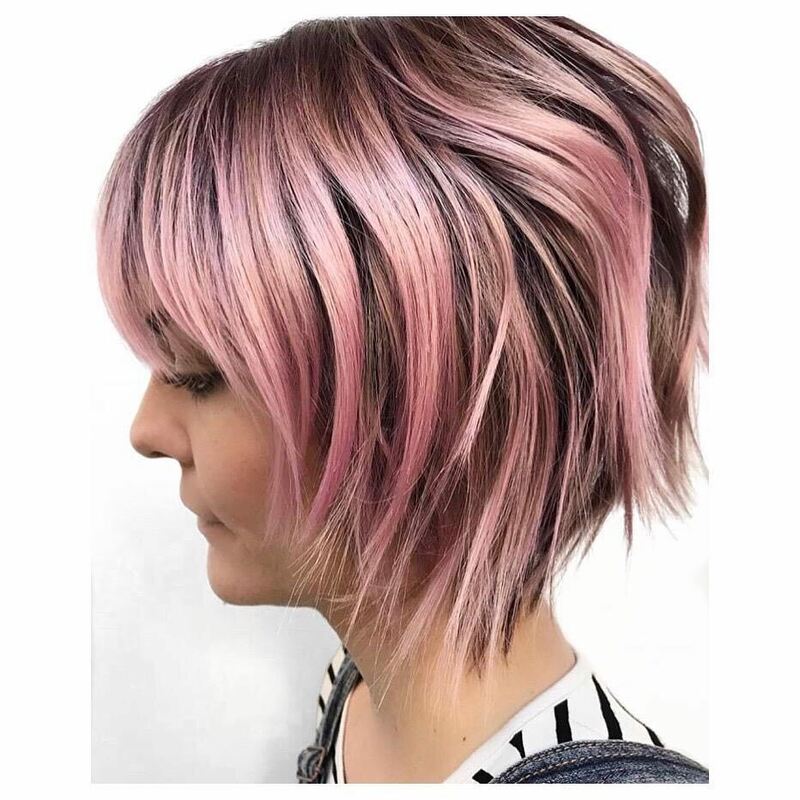 This cut blends the delicate femininity of rose gold with the boldness and adventure of a daring pixie to create a unique and flattering style. 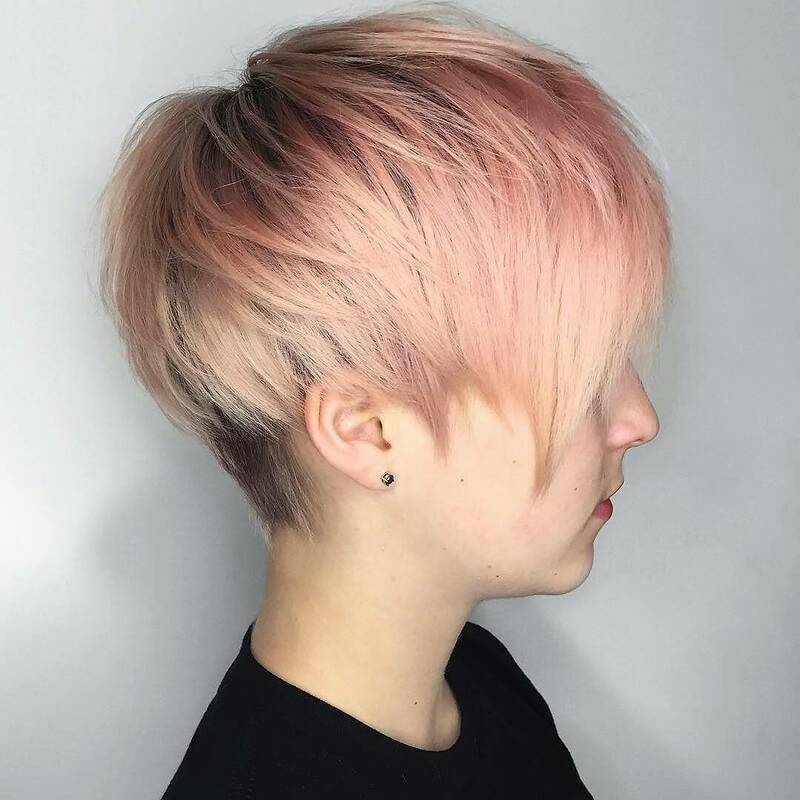 The rose gold hue of this pixie gives it an instant cheerful, on-trend finish. Shaped, pointed ends and multiple layers of varying length add an adventurous, stylish edge to this cut. This pink banged bob is a bright, bouncy style that adds a cheerful vibe to any look. Its eye-catching cotton candy pink color and long rounded fringe give this style a flirty and feminine finish. The straight, wispy ends and voluminous layers of this mid-length bob are particularly flattering for heart-shaped faces. 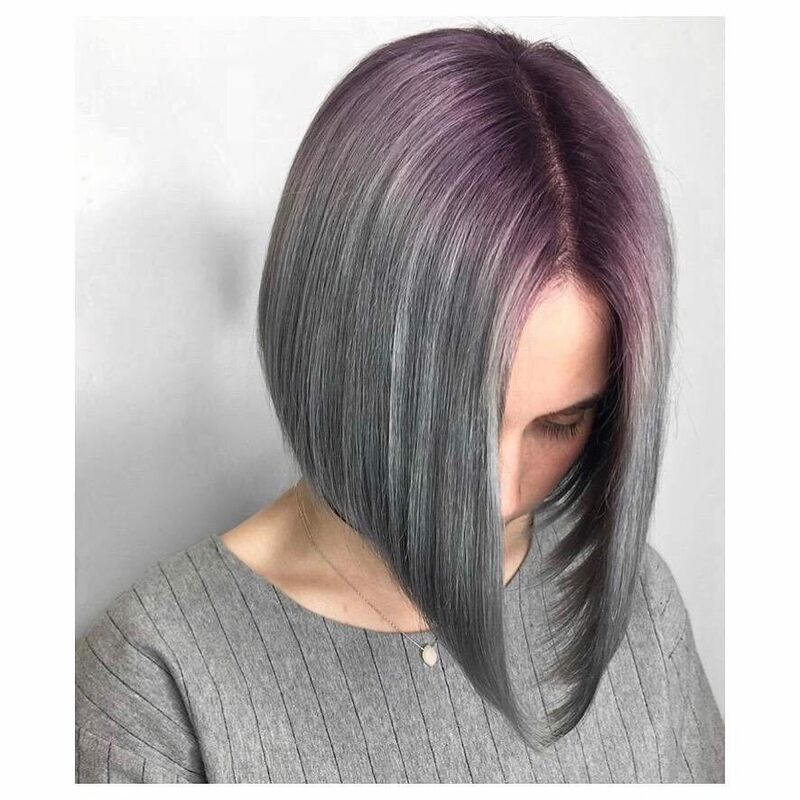 This pin-straight purple and silver bob is trendy and ultra-sleek. 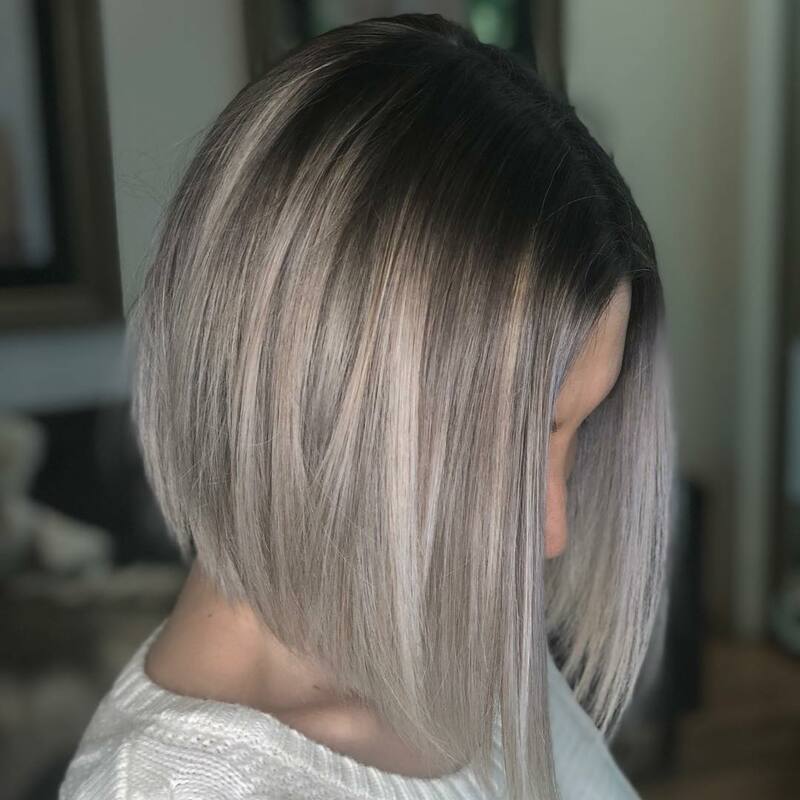 Its slanted A-line cut and unique coloring with violet roots that fade into a cool silver hue give this style a modern, polished finish. The sleek, angled style of this A-line bob works wonders to soften and elongate sharper square-shaped faces. The chin-length cut and curved ends of this bob style frame your face and draw more attention to your features. This textured, forward-flowing style is especially flattering for women with long faces, pointy chins, and angular features. Its wispy ends soften angles and its cropped length balances out pointier chins and faces that are longer than they are wide. The fiery orange color of this bouncy cropped warms up your features and catches your eye in the best way. Its multiple layers make this cut lightweight and very easy to manage. This tousled style is perfect for women with hair that is naturally mostly or completely straight. 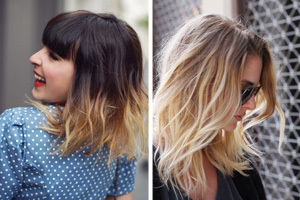 If your hair is already straight or has only a slight wave to it, styling this cut is effortless. Just scrunch a small amount of texturizing spray into your hair for a trendy, messy-on-purpose style that lasts all day long. 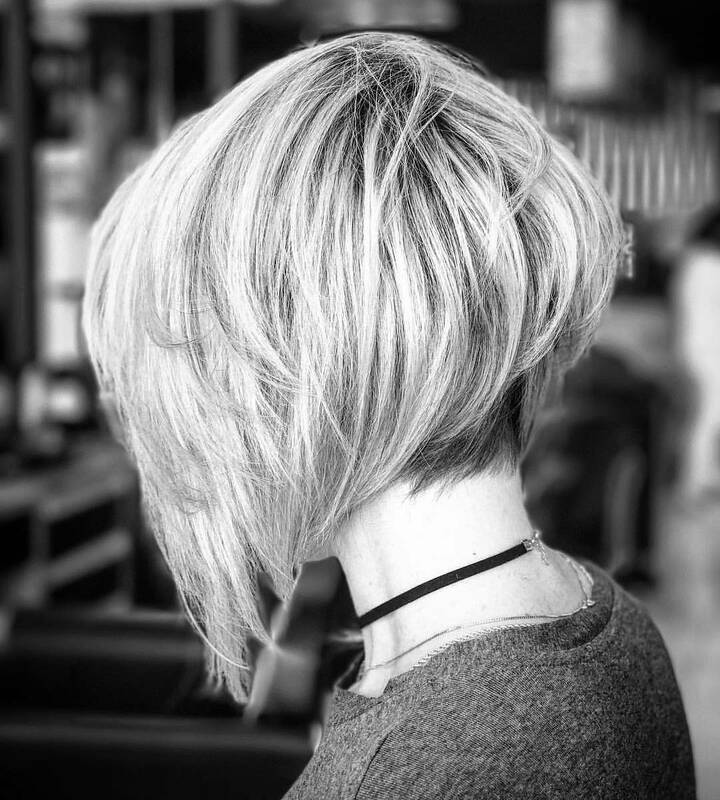 This sharp A-line bob features ultra-short layers in back and much longer layers in front that fall just above your shoulders. 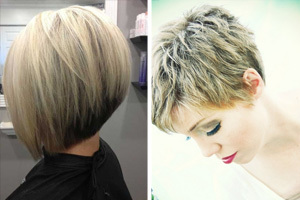 It’s a trendy, more dramatic twist on a classic slanted A-line bob style. If you want to offset the roundness of your face, this slanted style will do the trick. Its sharp A-line cut balances out naturally rounder features and helps your jawline appear more angular.